Perspectives on the World Christian Movement is a 15-week course (typically one evening per week) which unfolds God's plan for the world and different roles for individuals and churches. Every prospective missionary should take this course. Classes are available online and around the world. 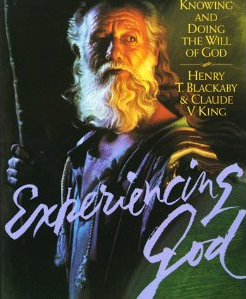 Experiencing God: Knowing and Doing His Will by Henry Blackaby & Claude King. This workbook and course are designed to be studied daily for three months. Knowing God does not come through a program, a study, or a method. Knowing God comes through a relationship as God reveals Himself, His mission, and His ways; and He invites you to join Him where He is already at work. Encountering Islam - A semester-long course on Islam which gives a working knowledge of the Islamic faith and an understanding of how to share with Muslims the life of Christ. Personal Support Raising Boot Camp is a two-day seminar which trains Christian workers how to get to their ministry assignment quickly and fully funded. Kingdom Come is a one-of-a-kind training, coaching and accountability program that allows for 100% funding to become the New Norm. Since KCT began in 2006, hundreds of missionaries and home ministry staff have been through the program and are now serving around the world. People Raising courses and conferences. 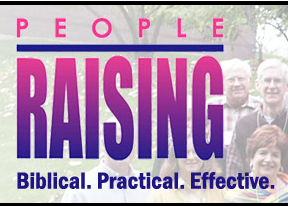 People Raising is a website and complete suite of tools – Biblical, practical, and effective tools – designed to reduce the fear and time it takes to raise needed funds. In a variety of ways and formats, Bill Dillon offers his expertise from over 40 years of ministry and fundraising.